The Switchbacks ended their three-game winning streak with 2-1 victory over Rio Grande Valley FC at home. The Switchbacks returned home looking to end their three-game skid against Rio Grande Valley FC Saturday night. The Switchbacks looked the better side in the early going, controlling possession in the attacking third while also staying compact in defense. Both sides were able to get a few looks at goal, but Rio Grande Valley's chances were all off target, and the Switchbacks struggled to get any decent chances off. The Switchbacks best chance game right before halftime as Aj Ajeakwa got a shot on target which was saved. The two sides would head into the locker room scoreless. The Switchbacks would come out with another strong start, getting a number of dangerous opportunities early in the second half. 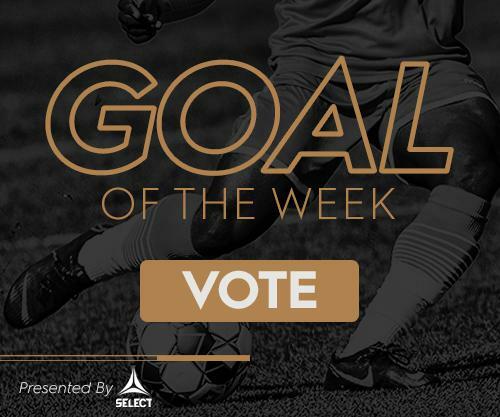 The Switchbacks would finally end their 368-minute goal-scoring drought, as Josh Suggs bagged a Goal of the Week contender from the free kick that bounced into the bottom corner. Jordan Burt would double the lead just seven minutes later from the penalty spot after Toby Uzo was taken down in the box. Rio Grande Valley would make a couple of late subs hoping to cut into the Switchbacks league. Rio Grande Valley finally scored in the 80th-minute as Quintanilla stayed just onside to put it past Moise Pouaty. 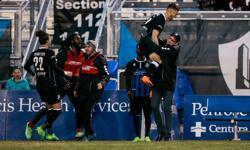 Despite late efforts, the Switchbacks would hold on to get their first-ever victory over the Texas side and end their three-game losing streak with a 2-1 victory. "I don't want to say it was a dominant match," said Head Coach Steve Trittschuh. "But, defensively we looked good. To get the win was really important. We've got a week to prepare for our next match to work on the things we need to improve." "We're happy with the win," said Man of the Match Josh Suggs. "We said we needed to win our home games and we came out and did that tonight." The Switchbacks will now head to Reno to face Reno 1868 FC next Saturday, April 14th. The Switchbacks will return home to face Seattle Sounders FC 2 for 90's Night with the second piece of the poster series puzzle courtesy of The Gazette. Tickets start at just $12 and are available here. Fans 21 and older can get $1 beer the first 30 minutes when gates open at 5:00 PM.